Found in high concentration in the brain, phosphatidylserine plays a key role in neuronal energy production and communication as a key structural component of the cell membrane. 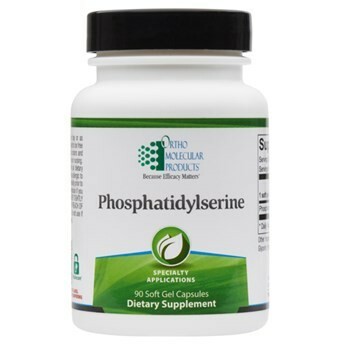 Phosphatidylserine plays a key role in cell to cell communication in the brain, including the transfer of biochemical messages into the cell, triggering cellular responses. The proper functioning of these processes are especially important to the nervous system and to healthy cognitive function. Phosphatidylserine has also been shown to support aspects of cell metabolism, such as glucose utilization and enhanced neurotransmitter formation. Furthermore, it appears to have antioxidant activity, protecting the brain from free radicals. Since very little phosphatidylserine is found in food, the compound must be synthesized or supplemented to provide what is needed for optimal brain health. Each soft gel provides 100 mg of purified, high-concentration phosphatidylserine sourced from sunflower oil, making it easy to achieve therapeutic dosing.